For 8 years running, My Guys Moving & Storage gladly supports the Sterling Lions Club annual Florida Citrus Sale to raise money for those in need of glasses and hearing aids, but who are not in the financial position to afford them. 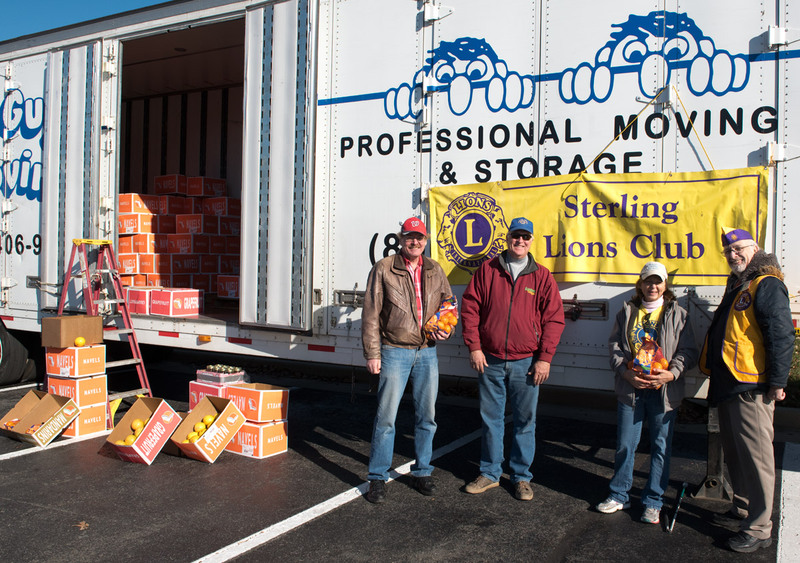 The Virginia-based moving company provided the Sterling Lions Club with a 53′ moving trailer to store the boxes of Indian River Ruby Red Grapefruit, Florida Navel Oranges, and Orlando Tangelos for the event. The truck will be available for the duration of the Florida citrus fruit sale from December 1-3, 2017, 9am-5pm in the parking lot of the Dulles Town Crossing Chick-fil-A at 45440 Dulles Crossing Plaza, located off Nokes Blvd. at Route 28 in Sterling, Virginia. Proceeds go to benefit the Lions Club of Sterling Charities, Inc. Sight & Hearing Fund. For more information, or to place an advance order, please contact Randy Mook at (703) 430-0043.